DETROIT (WXYZ) — A man police say is responsible for a brazen robbery and shooting on Detroit's west side has landed him at the top of the U.S. Marshals' Fugitive List. Tony Lamar Parker, also known as the "Gas Station Bully", was caught on video in a wild shooting at a gas station. It was all caught on Project Green Light cameras -- a crime fighting partnership between businesses and the City of Detroit. Police say it's clearly posted in an effort to deter criminals, and it's also clear Tony Parker and his friends didn't care. "You see him right there putting some chips in his pocket," said Assistant Chief Deputy U.S. Marshal Aaron Garcia. Surveillance video documented the series of crimes. "First, he bullies the worker inside, now he goes outside – and once again, up to no good," Garcia said. The crimes only escalated as the trio targeted a vehicle, police say. "He’s going up to the vehicle, now he’s grabbing some stuff, takes part of this armed robbery – the car takes off," Garcia continued. Video also captured a man, police say is Robert Johnson, pull out a gun and shoot. "Clear as day, January day, guns out, shooting, broad daylight at these people – after they robbed them," said Garcia. According to police, Jettie Smith, the woman in the vehicle, was also arrested; leaving only Tony Parker still at-large. "You can see this could have easily been a homicide. Yes, he wasn’t the trigger man -- that guy's in custody -- but he’s still involved in this whole thing," said Garcia. "He’s the lookout, he’s actively involved in aiding in this whole thing and shootout. Someone could have easily been killed here." Tony Parker is 29-years-old, 6-feet 2-inches, 165 pounds and from the west side of Detroit. "Criminal history includes stolen property, stolen vehicles, and obviously armed robbery. Habitual offender. He’s done this before," said Garcia. And the U.S. Marshals need your help finding Parker before he does it again. "Career history on the west side of Detroit, we believe he’s somewhere on the west side of Detroit," said Garcia. "He knows we’re looking for him." 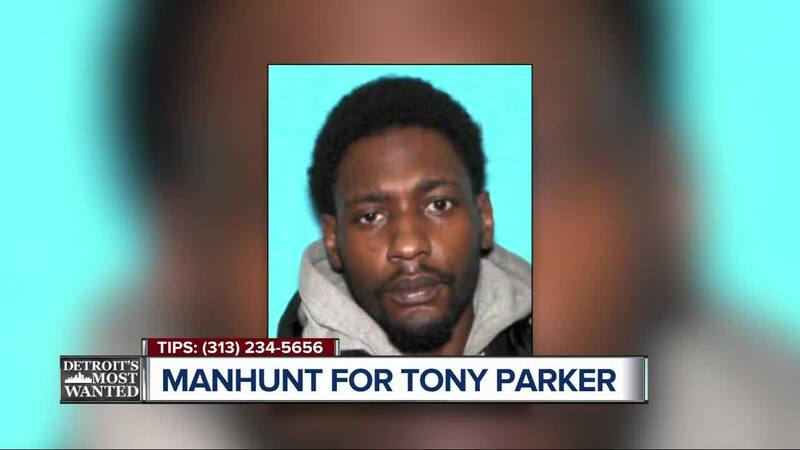 As always, there's a cash reward for any information leading to the arrest of Tony Parker. You can call the U.S. Marshals anytime at (313) 234-5656.